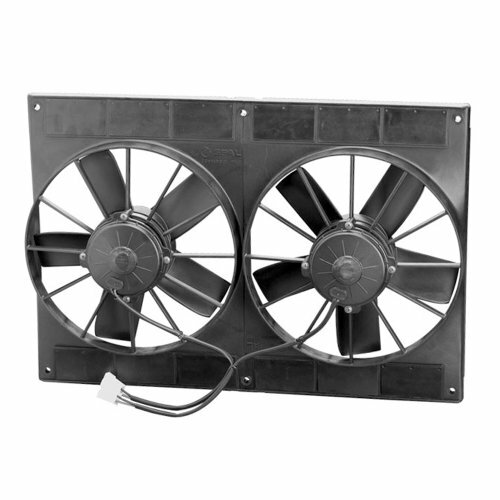 This reversible Flex-a-lite S-blade electric engine cooling fan is designed for quiet operation and efficient air movement. If used as a primary fan, it frees up horsepower that would otherwise have to be used to turn a belt-driven fan. When used as an auxiliary fan, it will provide added cooling to an engine prone to overheating. Overall dimensions of Height 15 3/4 Inch x Width 16 5/8 Inch x Depth 4-Inch. 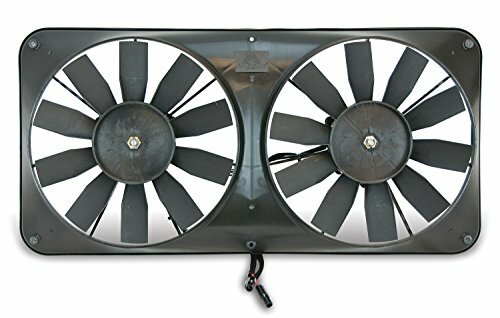 11" Paddle Blade High Performance Fan / 12V PullerFrom our high performance fan line the 30102052 is a popular choice among truck and muscle car enthusiasts. It features a curved paddle blade design for increased airflow and reduced noise. Each fan is individually balanced for long life.Please note that each fan requires a separately fused relay. Recommended part #FRH per fan. 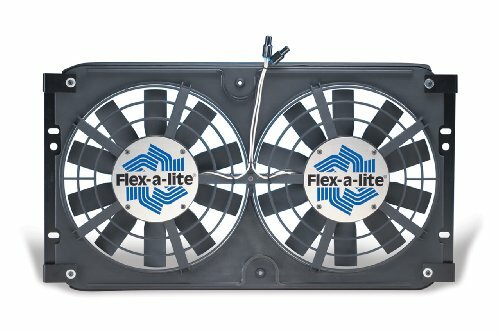 This Flex-a-lite #675 dual electric fan is a direct bolt-on fan kit made to eliminate the stock clutch fan in the 1995-2001 Toyota Tacoma. Complete with custom brackets, the #675 Tacoma fan will bolt directly to the stock radiator without any modifications, and can increase horsepower, torque, and fuel mileage. Comes with an adjustable thermostat and A/C relay for better fan control. 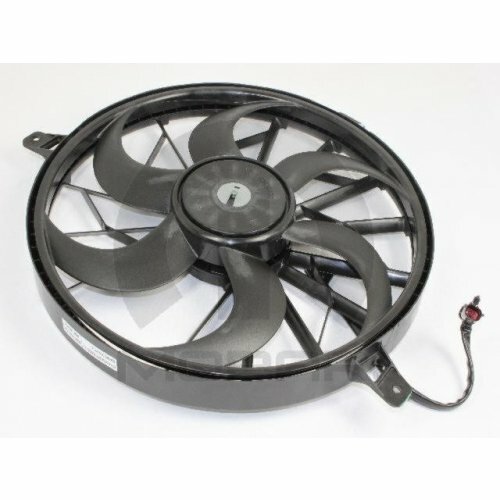 Overall dimensions of 26 1/4" x 15 1/2" x 2 5/8"
This reversible Flex-a-lite Scirocco dual electric engine cooling fan is specially designed for the popular Scirocco radiator used in dragsters and bracket racing. One-piece molded shroud with full contact rubber seal maximizes heat transfer. Powerful twin fans control the temperature spike at the end of the run. 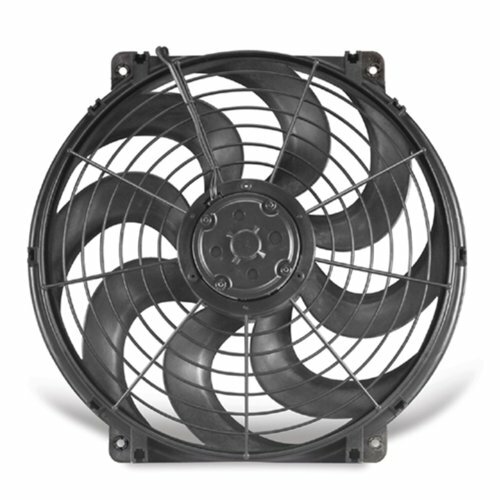 Used in conjunction with an electric water pump, the fans continue to cool your motor until temps are down to normal. 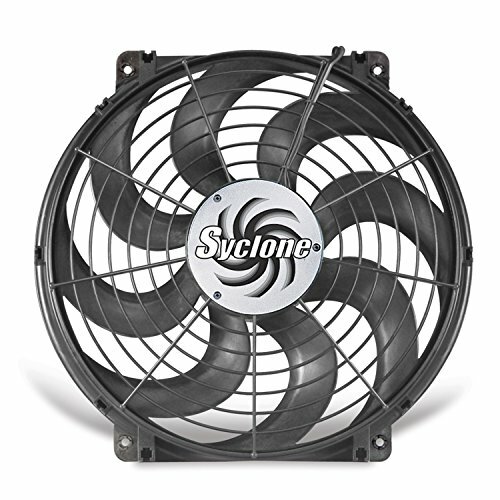 The Scirocco fan can be used as a pusher or puller. 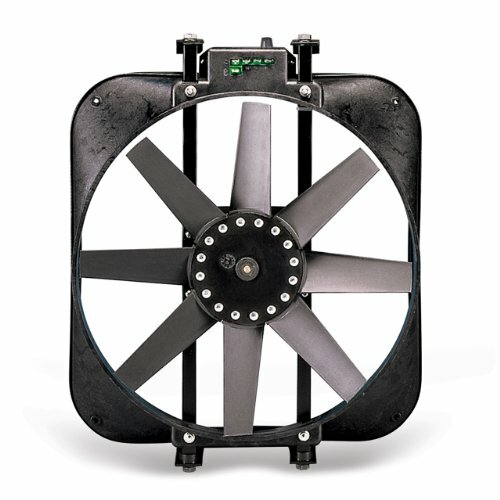 Overall dimensions of 18" x 13" x 2 1/2"
Overall dimensions of 13 7/8" x 14 1/2" x 3 3/4"
Overall dimensions of 11 3/4" x 12 5/8" xj 2 5/8"
This Flex-a-lite electric engine cooling fan with the solid brackets mounts directly to the radiator mounting points of the 73- 86 Jeep CJ. 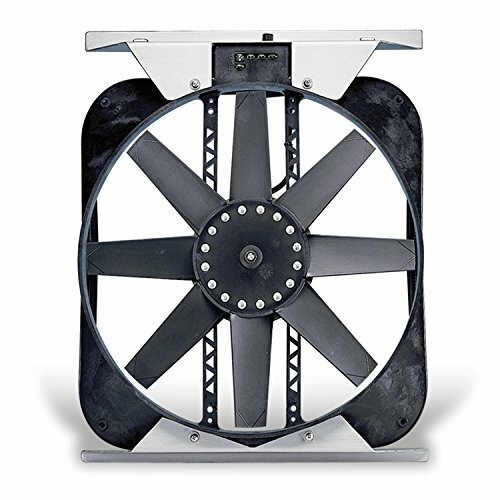 Replacing the stock steel fan with this electric unit frees up to 5 horsepower, 12 ft-lb. torque and provides added control over fan operation. Using an electric fan for primary cooling means quicker warm-ups, quicker cool-downs. This Flex-a-lite #680 dual electric fan is a direct bolt-on fan kit made to eliminate the stock clutch fan in the 1995-2001 Toyota Tacoma. Complete with custom brackets, the #680 Tacoma fan will bolt directly to the stock radiator without any modifications, and can increase horsepower, torque, and fuel mileage. A simple solution to a complicated situation; Griffin ComboUnits are the perfect combination of an aluminum radiator and electric fan(s). These products are constructed with Griffin 1.25 inch MaxCool tubing, a hand formed, all aluminum shroud, and high performance electric fan(s). The ComboUnit series has been created by Griffin engineering to take all of the confusing guess work out of switching to electric fans. The best fan for the radiator has been selected, the shroud and fan(s) have been mounted to the radiator, and the wiring harness has been provided. The end result is affordable performance cooling straight out of the box. 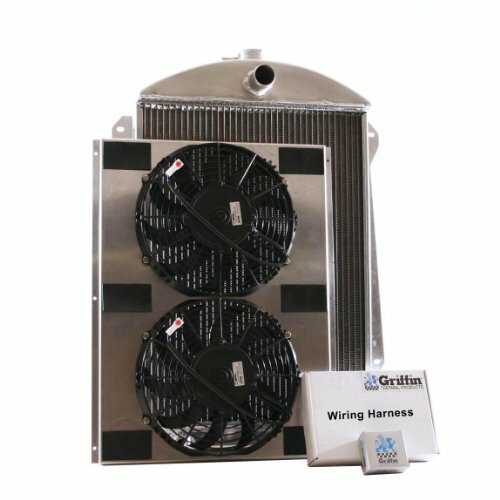 Griffin ComboUnits feature slim line fan(s) to accommodate more makes and models. 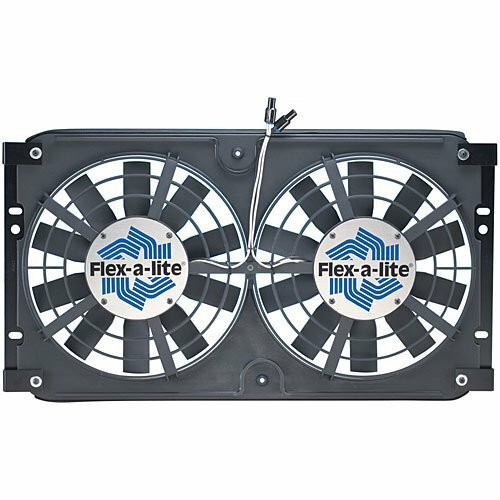 The Flex-a-lite Electra-Fan II can produce the highest output per dollar cost. It restores horsepower when replacing the stock belt-driven fan. When used as a primary electric fan it can extend water pump life and increase gas mileage. 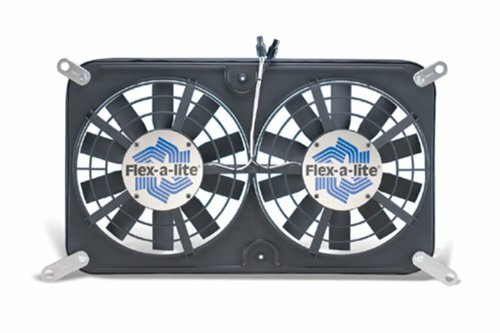 Overall dimensions of 16" x 18" x 4 1/2"
This reversible Flex-a-lite compact dual electric fan keeps your engine cool, and improves the horsepower and torque at the wheels by eliminating the parasitic drag of the stock belt-driven fan. It also allows quicker warm ups and cool downs, longer water pump life, less fan noise, improved air conditioner performance, and better gas mileage. Overall dimensions of 25 1/2" x 12 3/8" x 3 3/4"
The Premium Automotive Radiator is designed with innovative technology. 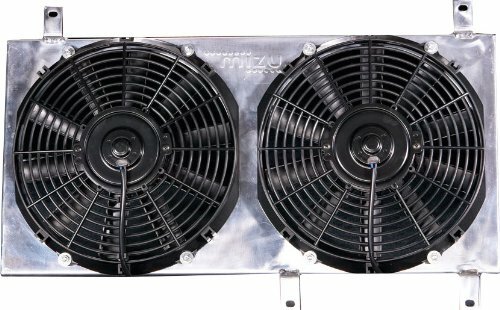 Quality control ensures that every Mizu Cooling Solutions radiator exceeds the performance of the original equipment radiator it is replacing. It is engineered to last and is made from high-grade aluminum. It is a perfect fit with no modifications. 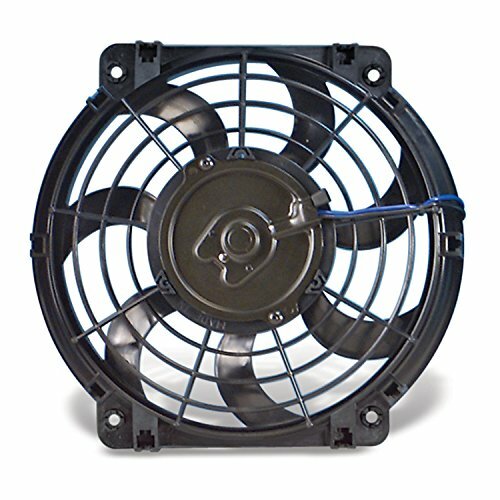 The Flex-a-lite #175 Mustang 5.0L fan is a bolt-on electric fan made to eliminate the stock clutch fan in the 79- 93 Fox Body Mustangs. 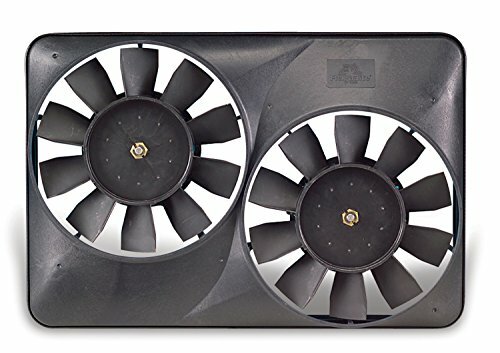 Pulling 2,800 cfm, this fan will help keep your engine cool while at idle, and give you some extra horsepower while driving, either on the street, or at the track. Comes with an adjustable temp sensor and A/C relay. 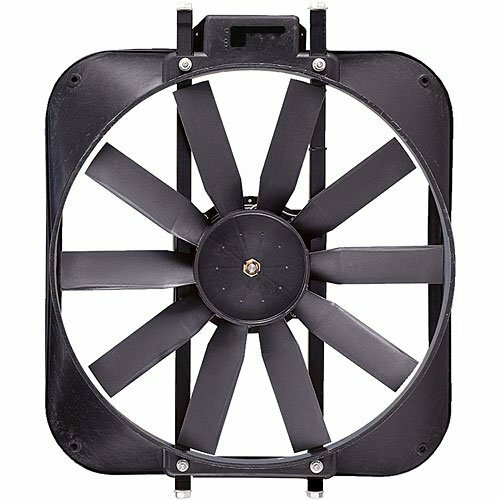 Overall dimensions of 16" x 18" x 4 1/4"
Overall dimensions of 10 7/8" x 11 1/2" x 2 5/8"
Overall dimensions of 15 3/4" x 16 5/8" x 4"
Flex-a-lite Fan Mounting Kits include all the hardware required to mount the fan ensuring hassle-free installation. They are constructed from high-quality material and are corrosion-resistant. These kits facilitate smooth mounting of the fans on to the vehicle s cooling system.